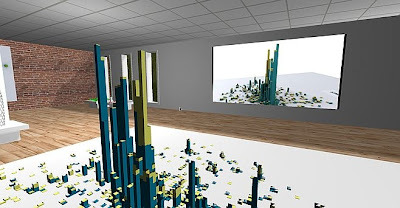 The room includes our first 'crowd and delegate' models direct from 3D Max, created as basic wander and avoid simulations they provide the building blocks of emergent behaviour within the cityscape. The cursor is very sensitive on a mac, is this something you can control? I'm sure you're aware of the motion sickness you can enduce with a twitchy full screen walk thru. I haven't actually go into the software yet but would like to know if this is something you can control. wow, i really like it. i am no wmaing my dyploma in urban planning, is it possible to do it on my own? We will upload a new version with the sensitivity tweaked a bit in the next version (it can be changed in the software) - ive found its slightly jumpy due to a drop in frame rate which is linked to the three movies running. In a new build with more that one rooms i'll be able to spread out the load and that should fix things. Really would like to see some tutorials/experiences about this. For example how well are sketchup models supported, do all textures come in right, how about shadows. Did you guys also look at esperient creator, a similar program? 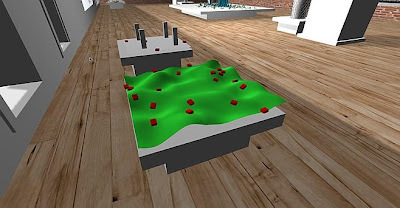 Love to read this blog with all new 3d-virtual experiments in it, thanks! 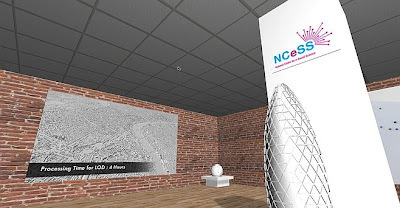 We havent got any sketchup models in at the moment but textures etc are all seem to simply work. 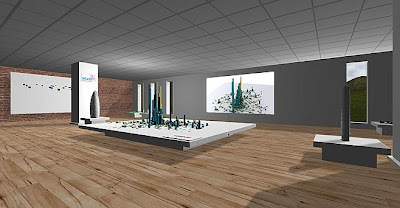 SketchUp models are supported brilliantly. Use the FBX export format.